"This is my Bible. I am what it says I am, I have what it says I have, I can do what it says I can do. Today I will be taught the word of God. I boldly confess, my mind is alert, my heart is receptive, I will never be the same...in Jesus name." Conservative, born and raised in Maryland. Maryland is the "Old Line State" because General Washington's most valiant Revolutionary War front line soldiers were from Maryland. "Gentlemen and ladies, I hate inflation, I hate taxes, and I hate Communism. Do something about it." - President Reagan, during his first Cabinet meeting. "In this present crisis, government is not the solution to our problem, government is the problem"
when little things go wrong? Our troubles break and drench us. Of some trim Gloucester schooner. At a fate both wise and kind? "We're here to mark that day in history when the Allied peoples joined in battle to reclaim this continent to liberty. For four long years, much of Europe had been under a terrible shadow. Free nations had fallen, Jews cried out in the camps, millions cried out for liberation. Europe was enslaved, and the world prayed for its rescue. Here in Normandy the rescue began. Here the Allies stood and fought against tyranny in a giant undertaking unparalleled in human history. The Rangers looked up and saw the enemy soldiers -- at the edge of the cliffs shooting down at them with machine-guns and throwing grenades. And the American Rangers began to climb. They shot rope ladders over the face of these cliffs and began to pull themselves up. When one Ranger fell, another would take his place. When one rope was cut, a Ranger would grab another and begin his climb again. They climbed, shot back, and held their footing. Soon, one by one, the Rangers pulled themselves over the top, and in seizing the firm land at the top of these cliffs, they began to seize back the continent of Europe. Two hundred and twenty-five came here. After two days of fighting only ninety could still bear arms. RUSH: You know, they say, ladies and gentlemen, that when someone who has lived just a wonderful life, a full life in every way, that sadness upon that person's death is inappropriate, that it's not necessary. Yet, I have to tell you, I'm sad today. Some of you have written over the weekend and speculated as to what was -- not "wrong" with me -- but why I was sort of subdued on Friday. I had received information on Friday that this was coming, and this has affected me in ways that I did not expect. 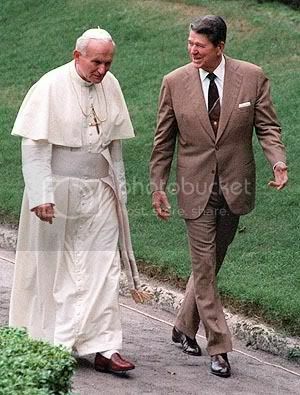 President Reagan has basically been out of the public eye for at least ten years, and everyone knew this day was coming, Saturday's day was coming, but nevertheless, since Saturday afternoon at four o'clock Eastern time, I have felt like a part of me died as well. But I know that Ronald Reagan lives on in my heart, as he will live on in all of your hearts as well. I never met Reagan, but it wasn't necessary to have met him in order to love him, which I do, and that's as great a measure of greatness as I know. People say -- I've said it, I reminded you of it many times here -- it's said that greatness doesn't need to be explained, and that's true for those people who are paying attention at the time. But sadly, most people's historical perspective traces back only to the day they were born. If you couple that fact with the realization that history education in this country, in the public school system, is woefully inept, and by that I mean that I have heard from people over the weekend whose 17- and 18-year-old kids have no idea who Ronald Reagan is. They know all about the Vietnam War and they know all about some of the horrible history involving America since, but they don't know anything about Reagan. They've not been taught much about Reagan at all. This is a huge eye opener for them. They are asking their parents, "Why is everybody going nuts over this guy?" Millions of Americans also under the age of 30 have no concrete memory of Ronald Reagan's presidency, and yet we are all, including them, touched by his greatness. I'd like to take a moment here to explain to those of you who have no direct relationship with Ronald Reagan, you weren't old enough or even born during his presidency to have understood it or to have known how you have been affected by it, because the simple fact is that now in death, Ronald Reagan once again defines the utter beauty and blessing that is America and reminds us all of our destiny. You know, Reagan's greatness is not all about a single speech or a single phrase in a speech or a single memory. Ronald Reagan was great because he was a man. He was a great man, and he knew who he was. He was comfortable in his skin. He was optimistic and happy. He was infectious. He dared to embrace big ideas. He dared to do big things to overcome huge obstacles in the midst of all kinds of experts telling him it couldn't be done, in the midst of all kinds of criticism, in the midst of all kinds of personal insults. I must tell you, ladies and gentlemen, I have been in awe this weekend watching some of the coverage, listening to some of the people who I remember explicitly insulting this man every bit as much as they insult George W. Bush today, now singing his praises, and I look interestingly and curiously at the TV set when I see this, and I said, "Well, which is it, then? Was he great? If he was great, he was great then." I've seen some of the most incredible testaments to his policies, and I've seen the usual digs. I mean, it's all out there, but you expect the digs in this current climate, and they're there. But the idea that people who routinely did everything they could to diminish Ronald Reagan in the eyes of a nation who loved him, now the fact that they do not dare come forth and be honest at this point in time about their true beliefs and feelings of Ronald Reagan, is another testament to his greatness. They don't dare, because they know the love this country has for Ronald Reagan. They know it would be suicide to practice their politics as usual during this period. Ronald Reagan was great because he never gave up on his country, and the reason he never gave up on his country, ladies and gentlemen, is because he never doubted for a moment any of us. Never doubted our wisdom. He never doubted our judgment. He never doubted our ability to do the right thing. He never doubted our ability to rise to necessary challenges. Ronald Reagan never doubted the people of this country at all. That made him a huge threat, because Reagan's enemies had no threat, no confidence and no faith in the American people. They still don't. Their view of the American people is one of incompetence, lack of judgment, inability, basic averageness -- and, of course, they must think that, for if they don't, there's no reason for them. You know, some people forget that in the late 70s and the early 80s, the Washington establishment, which is what Reagan would later call, "The iron triangle of the liberal media, liberal special interest groups and the massive bureaucracy." Some forget that in the late seventies and early eighties the Washington establish want was talking about of America's inevitable decline. Jimmy Carter's presidency was looked at by the American left, "Well, gee, if our best and brightest can't make anything out of this, maybe there's something wrong with this." Never thought there was anything wrong with them, never thought there was anything wrong with their ideas, never thought there was anything wrong with their president, and so rather than question their own role in bringing the nation to the point it was in in 1979 and '80 -- the worst economy since the Great Depression, Soviet Union on the march throughout the world -- the elites of liberalism questioned the fortitude of the American people. Yes, my friends. It was, after all, the establishment's failed policies and worldview that had led the nation into economic and international decline. It wasn't the people, and Reagan knew it. Jimmy Carter. After Jimmy Carter, the establishment, the elites, were questioning whether the presidency itself -- I wonder how many people remember this. The late 70s, early 80s, the Washington and New York elites were themselves questioning whether the presidency itself could survive as then structured, whether it was "a job too big for any one man." Do you remember this? Some people wondered whether the Constitution should be changed to provide for a single six-year term, rather than requiring a president to run for reelection. Along came Ronald Reagan, and there's no doom and gloom in Ronald Reagan. He's the optimist, eternally so, shining city on a hill. He would have none of this doom and gloom. He rejected Washington elitism, and he had since 1964 and before. Talk about core values, talk about sticking to them. He rejected Washington elitism and connected directly with the American people who adored him. He didn't need the press. He didn't need the press to spin what he was or what he said. He had the ability to connect individually with each American who saw him. That is an incredible -- I don't even want to say "talent." It's a characteristic that so few Americans have, so few people have, but he was able to do it. He brought confidence; he brought vigor, and he brought humility to the presidency, which had been missing for years, and this profoundly upset his political and media adversaries to no end, and Reagan enjoyed that. Ronald Reagan rejected socialism; he rejected big government. He insisted on returning as much government back to the people as was possible. He cut taxes so deeply that even some on his own staff became disbelievers and wrote books about it. They were wrong. He was right. Our lives today are a testament to how right Ronald Reagan was. Reagan created the greatest economic expansion in American history, and certainly since World War II. He wasn't always successful in cutting government programs, but he tried. He slowed the growth of domestic spending by vetoing spending bills and by shutting down the federal bureaucracy. But in the end, you know, in our constitutional system, it's Congress that controls the purse strings and they made deals with him they didn't keep, but he tried. In fact, Ronald Reagan proved something that to this day economists, elite economists do not believe. Ronald Reagan lowered inflation during the midst of one of the most unbridled economies and its growth period in history. No economist thought that possible, but he did. He brought inflation down to 4.8% from its double-digit figure when he took office, and significantly, unlike Franklin Roosevelt, Roosevelt -- this is key -- Roosevelt turned to government in a failed effort to revive the American economy. The New Deal did not revive the American economy; World War II did. The New Deal just revived government. 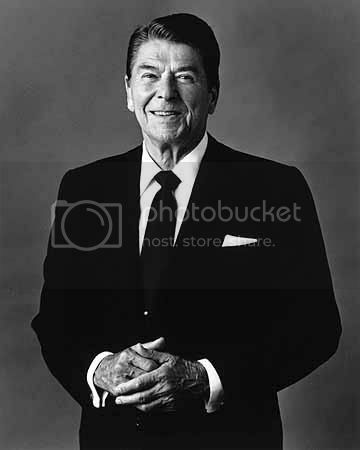 Ronald Reagan, instead of turning to government to revive a failed American economy turned to us, the American people. He worked to unleash our ingenuity, our entrepreneurism, our enterprise and productivity. You've heard it said all weekend that Reagan "made people feel good about themselves." That's true. He made people feel good about the military. That's true he made people feel good about their country. Yeah, did all of that, no mean feat, and for those of you who weren't around or paying attention in 1979 and 1980 throughout -- actually 1984 -- huge recession in '81 and '82. For those of you who weren't around, you have no idea. Nothing since has happened quite like it. Those of you who came of age during the campaign of 1992, when you listen to Bill and Hillary Clinton talk about the 80s as "the worst economy in the last 50 years," it was a lie. The American people were sympathetic to it because there was a small little recession occurring in 1990 and '91, into the '92 campaign, but it was nothing compared to what Ronald Reagan inherited and how Ronald Reagan fixed it. This has been a staple of this program since its inception in 1988, actually, '84 in Sacramento, my adopted hometown, and that is that you are the ones who make this country great. You are the ones who make this country happen. You are the ones who create this economy. You are the people who determine the destiny of this country, not our leaders. Our leaders, if they're good, get us to do things that may be tough, maybe things we don't want to do at the time, maybe endure things we would rather not, but leaders get obstacles out of our way, leaders do show us the way, and I'm not trying to diminish Reagan with this. I'm trying to celebrate Reagan. Reagan knew because of his unbridled love for the American people, coupled with our God-given freedom, our natural yearning to be free. Reagan knew that all he had to do was unleash that, and it was "Katie, bar the doors," and he was right. He was right then; he is right today. He will be right for as long as there is America. Those who choose to follow his footsteps will also be right. Those who choose to follow in his footsteps will experience the optimism and the good cheer and the love of country that he always had. There are many who will carry on in his tradition. I'm honored to be one of them. 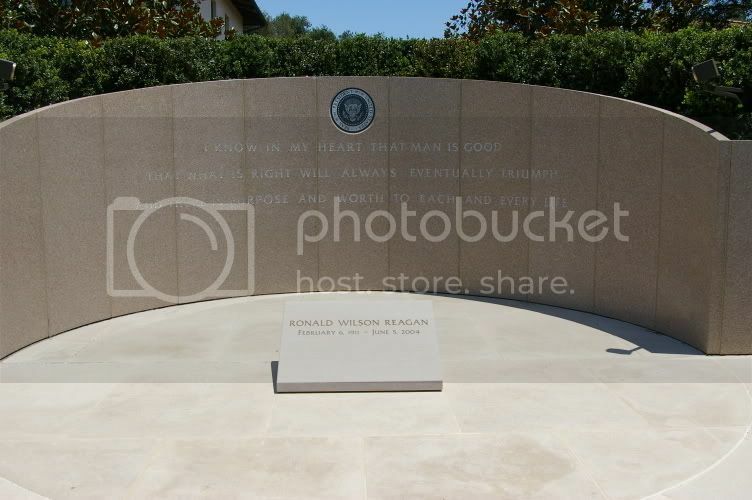 I wouldn't be sitting here were it not for Ronald Reagan, and I never met him. You know, Ronald not only rejected socialism and big government, but he also rejected communism. He defeated it ultimately, and well, I'm getting to that point. So many elites, so many on the left in Reagan's era, said then what's being said today about militant Islam, and what Chamberlain said about Nazism. "Well, it's there. We can't do anything about it. We've just got to try to manage it, have to try to get along with it. We have to try to make sure that we don't destroy each other," and Reagan figuratively scratched his head and said, 'What's that? Get along with this? Look at what they're doing to people. Look at what they're doing to their people. Get along with this? They're on the march. Their stated objectives were as plain as day." Those of you who weren't around during all of this, the era of the Cold War and Soviet expansionism, it is imperative you find out. It is imperative you understand what this man did. It is imperative you understand how he did it. It's not just that he did it without firing a shot. He did it because he refused to accept it, all alone amongst those at his leadership level. So he set us out on a course to win, not "manage," the Cold War, and I consider that to be the final battle of the Second World War. He freed tens of millions of people who had been imprisoned behind the Iron Curtain for nearly five decades. Those people survive Ronald Reagan today. In his obituary they should be mentioned as "survivors," and I noticed some liberal commentators now contend that the fall of the Soviet Union was "inevitable" just as they once considered the decline of American greatness inevitable. They still don't get it and they never will. Mid-90s I attended a lecture given by Lady Margaret Thatcher at the Waldorf in New York. She made a point of saying it was Reagan, not Gorbachev, who brought down the Soviet Union primarily by proposing SDI. It was at that moment that Gorbachev knew it was over because he knew we Americans could do SDI and his country couldn't. Later, I had the good fortune to become close friends with Lady Thatcher, and I often reminded her of that lecture and her point, and she "commanded me," which is how she speaks. She commanded me to never allow people to think otherwise, never allow people to think that it was anyone other than Ronald Reagan and the spirit of America and its goodness and its faith in God that defeated the Soviet Union. I remember I went to a dinner at a private home in Manhattan, I was asked to give the toast. It was a dinner in honor of Lady Thatcher. The guests were the usual Manhattan elites, many media people network presidents. After Lady Thatcher's remarks when the hostess asked for questions, there were none. So I rose. I asked her, "Who won the Cold War?" She gave the same answer in her lecture to the dinner guests at this dinner. They sat in stone silence. They knew it. They didn't want to hear it. I wish I had had a camera so you would know who. I'm not going to say who was at this dinner, but I wish you could have seen their faces when she said it. Let me set the stage for you at this Manhattan dinner party. It doesn't matter who it is, because you don't need to know the names to know the type of people. Network presidents, programmers, media elites. It was a media elite dinner and I was there, and the reason I was there because of all the people invited I was the one qualified to offer the official toast to Lady Margaret Thatcher, and so I did. And Lady Thatcher, this was a dinner in her honor at this private home in Manhattan. After dinner the hostess asked her for some remarks. She made some brief remarks -- for her, brief, ten, 20 minutes. After they were over, the hostess opened it up for questions and there wasn't a person -- must have been about 25 or 30, not one person stood; not one person raised their hand, not one person had a question, and during her remarks, Lady Thatcher had not touched on the Cold War, but I had remembered being profoundly affected by her admission at this lecture that I attended with Justice Kennedy. In fact, I was his guest at the Waldorf, and so I rose, and I said, "Lady Thatcher, could you explain? There's a lot of controversy being waged in the country right now about what brought about the end of the Soviet Union. Many people think that it would not have happened were it not for Gorbachev, that Gorbachev was a new leader, Perestroika, Glasnost. You were there. You were part of it. What's your view?" She got stern as she could be at the notion that Gorbachev had anything substantively to do with it. She stood up and she just went down the list of what it was and why it happened, and again she focused on the fact that because Reagan had the audacity, Reagan had the fortitude to proposed SDI. At the time, again -- and a lot of what I'm saying today, most of you in this audience have heard it -- but I'm hoping to reach people who have no concrete, direct memory or relationship with President Reagan because of your age or because you weren't paying attention. But back then, SDI was regarded much as the whole war in Iraq is today. SDI was treated was treated as a joke; SDI was dangerous; SDI was going to blow up the world; SDI was impossible. It was typical liberalism: greatness couldn't be done. Greatness can't happen. "This is only going to kill us all! This is just the meanderings of a B-actor." I mean, you people have forgotten how absolutely mean-spirited the critics of Reagan were about him and to him personally. He never flinched, never cared. He smiled at it. But when she stood up and went through this list of things and made the point that it was at that moment Mikhail Gorbachev realized it was over because he couldn't keep up. His country couldn't do it and he knew Americans could create SDI. In fact, I've got a story, there's an AP story somewhere in the stack quoting Gennady Gerasimov who was one of the spokesmen back then saying this very thing, if you don't believe me and you don't believe Lady Thatcher, and when she stood up and gave this answer, there was no applause. There was no reaction. The guests at this dinner sat stone faced because they knew it, but they didn't want to hear it. You know, Reagan did not "hasten the Soviet collapse." He was responsible for it, and he was practically alone in his confidence that Soviet communism would fail, and his reason for believing it would fail was simple, folks, and it's a reason that is eternal. He knew the Soviet Union would eventually collapse of its own immorality if pushed in the right places, so he pushed. Reagan was also concerned about an all-powerful judiciary undermining the will of the people and attempted to do something about that. He spent eight years appointing people to the federal bench who were committed to interpreting the Constitution, not rewriting it. One of the most brilliant minds on the court today, Antonin Scalia, is a Reagan appointee. Reagan is the one who elevated Rehnquist to chief justice. The liberals are still trying to reverse this impact of Reagan. They're still trying to reverse everything he did. That's what the Clinton presidency was about. It's what the Clinton campaign of '92 was about, was reversing the eighties. The whole reason for existence of liberalism, folks, in recent years has been to wipe out the memory of the 80s and rewrite it as something it wasn't: "Decade of greed, decade of selfishness." You know, lest we forget, Reagan was called many things by those who resented him. He was called a cowboy. Does that sound familiar? He was called a dunce. Does that sound familiar? What have I always told you by liberal playbook never changes? There are no new pages in it. He was called a danger. That sound familiar? He was going to blow up the world. Washington elites described his 49-state landslide in 1984 as "a triumph of greed and selfishness." I had to laugh over the weekend. Forty-nine-state landslide. Ronald Reagan received more popular votes than any president in history in 1984, and still there are pieces in the media this weekend, "Could Reagan beat Clinton?" Clinton never got 50% of the vote. It happen wouldn't be a contest. You know, there was one debate in the 1980 presidential campaign, one debate, very near the election, and the Carter people thought that they were going to clean the clock of Ronald Reagan. They thought Reagan was a dunce and an idiot, and we all know what happened. You talk about deer-in-the-headlight eyes, that was Jimmy Carter in that whole debate. Ronald Reagan debated Bobby Kennedy in the 1960's. You will not believe the story of this. I forget what the subject matter was, but the Kennedy people couldn't wait for this. You know, Reagan was ascending after his Goldwater speech in '64, and the Kennedy crowd thought, "We're going to wipe the stage with this guy. This guy is nothing," the typical way that liberals look at conservatives, and particularly conservative leaders. When it was over, Bobby Kennedy called Pierre Salinger in Paris and said, "Don't you ever put me with this guy again. It's impossible." Reagan was real. He just connected one on one with everybody. He had no ego. None. He was totally comfortable with who he was. He liked who he was, and he liked everybody else. As I said, Reagan's entire presidency became known as the "decade of greed" by Democrats who today claim to praise and venerate him. In fact, I will never forget after the election of 1984, I was in California. The Democrats, (Former California Democrat Senator) Alan Cranston was running around all over the state trying to tell old people that Reagan's reelection would cause them to lose their homes and their health care. Ever heard of that? Does that sound familiar? Twenty years ago. David Broder, I'm pretty sure, his first column in the Washington Post after Reagan's reelection called it :a triumph of greed and selfishness over citizenship,: meaning the 49-state landslide was from people who wanted theirs, who wanted their tax cut and to hell with the poor and disadvantaged and what have you. I think Broder also wrote -- Reagan was 69 when he was first took office -- Broder wrote, "He's too old to be in touch with anything." I haven't seen what Broder has said this weekend, but he was just an example. They were all saying things like this because they hated Ronald Reagan, and don't let anybody tell you differently. They feared him, which was the reason for their hate. They could not outflank him. They couldn't relate to people as he could -- and they were the people who "had the common touch," they told us. They were the people who had the ability to understand what life was like for the average guy, and here's Ronald Reagan running circles around them. Of course they didn't like him. He posed a great threat. Reagan was accused of sexism; he was accused of racism; he was accused of heartlessness. They said he was responsible for homelessness and AIDS. They said he was going to start World War III and destroy the social safety net, including Social Security, the school lunch program. Sound familiar? See how left never changes? But Reagan was none of those things and did none of those things. He was wiser, he was smarter, and bigger than his detractors. Thankfully, he outwitted them all and for one primary reason. He had the truth on his side. He knew that it was us that would make all this happen, the American people, and he told us that repeatedly. Everybody loves hearing what's expected of them. Everybody loves -- well, everybody reacts. Most people react to great expectations laid before them, and that's what Reagan did. Reagan elevated our own expectations of ourselves and of our country and we rose to the challenge. He knew America and the American people better than anyone, especially those who sought to govern from inside the Beltway. I'll never forget, it was I think 1990, and I was at the 21 Club in New York for dinner with some friends. I had been doing this show for two years. I don't want to over-personalize this, but Ronald Reagan believed things happened for a reason, so he wasn't worried about little details and the ups and downs of things, because he looked the long view, saw the far-off distance and just had faith that it was going to be okay -- as long as America remained America. Now two years into this program, and I'm being criticized, having things said about me that have never been said about me before, and I don't know how to deal with it. I'm getting advice from people. Should I respond to this stuff or should I ignore it? People said, "Well, if you respond to it you're sort of validating it. You're letting them know it bothers you. Just blow it off. Don't react to it." I said, "Yeah, but then people are going to think it's true if I don't respond to it." This was one of the early frustrations that I experienced during this program. People saying things about you that aren't true. The instinct is to fix it and change the record. But I never knew what. I mean, for those two years there was nobody who could tell me what to do. I was with no one who had been through it, and I really had no instinct myself what to do. One night I'm at dinner, 21, and I had to go to the bathroom so I walked into the restroom. The restroom attendant in there recognized me and came up, shook my hand. He was just ebullient. He started taking. He knew who I was. He started talking about to me about the one time he met President Reagan, and he just was as effusive, full of love and excitement, exuberance as anybody I can recall, just happy to be telling me this. And after he went through describing what his meeting with Reagan was like, and it had been fairly recently, he looked at me, he cocked his head, his eyes got wide, and he said, "You know, Mr. Limbaugh, he never got mad at 'em. He never got mad at 'em once. He just laughed at 'em." I said, "Bingo. There's my answer." In the restroom at the 21 Club, from an attendant whose biggest thrill in life was having met Ronald Reagan. That man is a preacher today, that attendant. America's Truth Detector and Doctor of Democracy, Rush Limbaugh, continuing now with a tribute to Ronald Reagan. Ladies and gentlemen, another thing that's important to remember. It wasn't just Democrats and liberals who criticized Ronald Reagan after he left office. Republicans in Washington (I will never forget this), Republicans in Washington also were weak in defending Reagan's policies after he left office. They were afraid to defend the tax cuts of the 1980's. They were afraid to defend the charge that the 80s was a decade of greed and selfishness. They were afraid to tell the truth of why deficits grew. The Clintons called the 80s "the worst economy in the last 50 years" in 1992, and many Republicans in Washington wouldn't stop and step up to remind people of the truth. Well, I did. 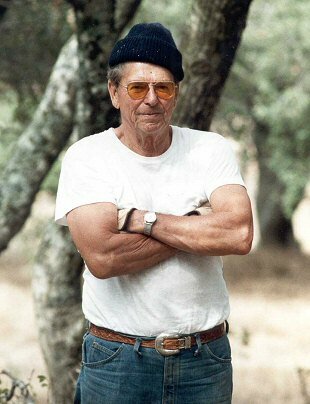 I remember sitting here in the early years of this program aghast that members of Ronald Reagan's own party in Washington didn't have -- it wasn't all -- but didn't have the guts and the courage to stand up and defend him, particularly when it came to tax cuts and foreign policy: the two things that he was most profound on. Throughout the early years of this program it was an objective of mine to keep the Reagan legacy alive. I was a product of it. It's not even enough to say I believed it. I felt like I was part of it, that I would not have had the life I have were it not for Reagan. I understood it, and I believed in it, and I thought all Republicans did, too. What I learned later was that there were factions in the Republican Party. The old country club blue-blood set, they never liked Reagan because he displaced them, too. So when he was gone it was their turn to try to reassert themselves in control of the party. Well, that's what happened in the party, but this program is not the Republican Party. This program is conservatism and the Reagan legacy. You know, I wonder what Reagan would say to us about this new war, this war on terrorism, liberation of Iraq. So I went to his Pointe-Du-Hoc speech back in 1984, D-Day. He said it was "the deep knowledge -- and pray God we've not lost it -- that there is a profound moral difference between the use of force for liberation and the use of force for conquest." He said to the surviving Rangers who scaled the cliffs at Pointe-Du-Hoc on D-Day, "You were here to liberate, not to conquer and so you and those others did not doubt your cause and you were right not to doubt. We in America have learned bitter lessons from two world wars. It is better to be here ready to protect the peace than to take blind shelter across the sea rushing to respond only after freedom is lost. We've learned that isolationism never was, never will be an acceptable response to tyrannical governments with an expansionist intent but we try always to be prepared for peace, prepared to deter aggression, prepared to negotiate the reduction of arms, and, yes, prepared to reach out again in the spirit of reconciliation." Reagan was right just as George W. Bush is today, and I really believe that if Reagan had been able he would have put his hand on Bush's shoulder and say to him, "Stay the course, George." I really believe that. As I said at the beginning of this hour, and I've been fighting it because this is not what Reagan was about, but since Saturday afternoon at four o'clock Eastern time, I haven honestly felt like a part of me died as well. Even though I knew it was coming, we all knew it was coming. I was surprised at how deeply the act of his passing had on me, despite knowing it was coming, and I was comforted all the remainder of the weekend by the reality and the realization that I know that Ronald Reagan lives on in my heart, always will, and in all of yours. I never met him. Wasn't necessary. It was not necessary to have met Ronald Reagan in order to love him as I do, and that is as good a measure of greatness which does not need to be explained as I know. So God bless Ronald Reagan, and as he never failed to say, God bless America.